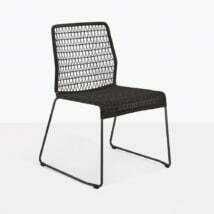 The Luci outdoor dining chair has so many unique characteristics that make it such a special design. 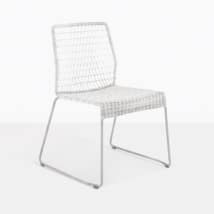 The white powder coated steel frame allows it to be light, airy and durable. 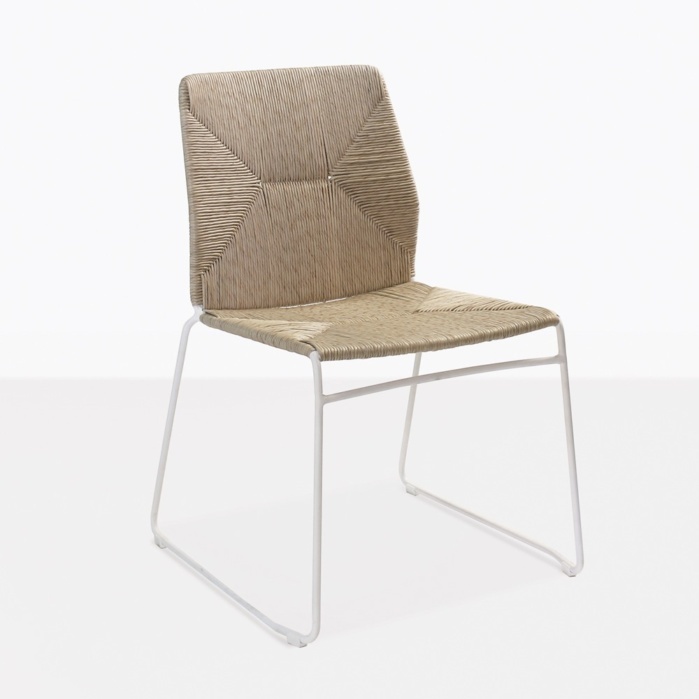 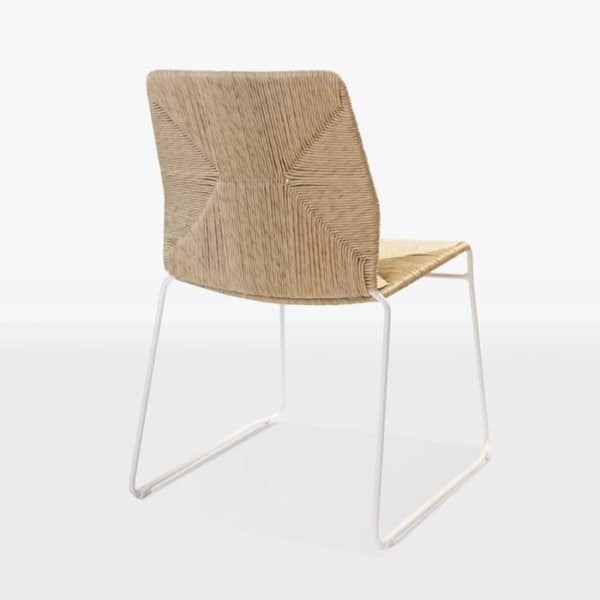 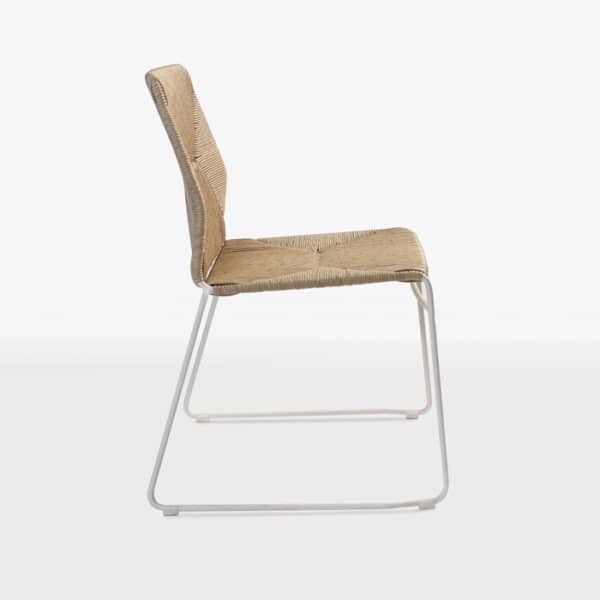 The seat is made with synthetic fibers that are natural looking and smooth to the touch. 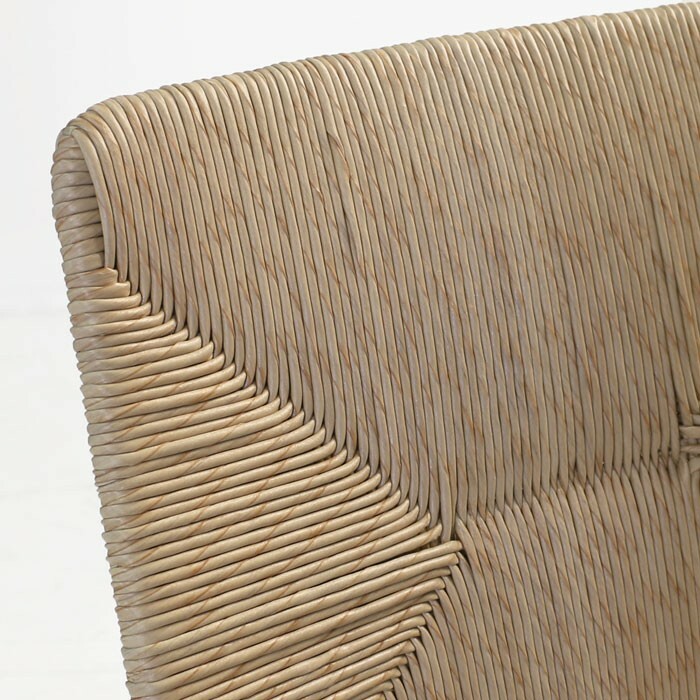 The fibers are thick and strong and beautifully woven into an interesting pattern that has a mid-century vibe. 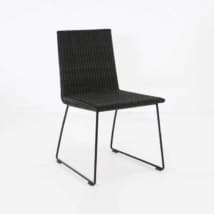 This outdoor dining chair is glamorous and sophisticated and will go beautifully with many of our outdoor dining tables whether you choose teak, reclaimed teak or even concrete. 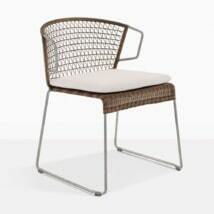 Mixing materials to create an outdoor dining set is a great way to add style and character to your outdoor space. 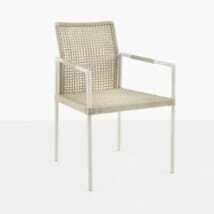 W18" x D21" x H32.7"